Can you believe that we’re half way through November already!? I’m sure you’re thinking about gift ideas for your friends and family, and maybe you’ve even started buying? If not, here are some great gift ideas for the small people in your life. We all love Bop It! It’s such a fun game to play and the mini one is perfect for car journeys or taking away on holiday. 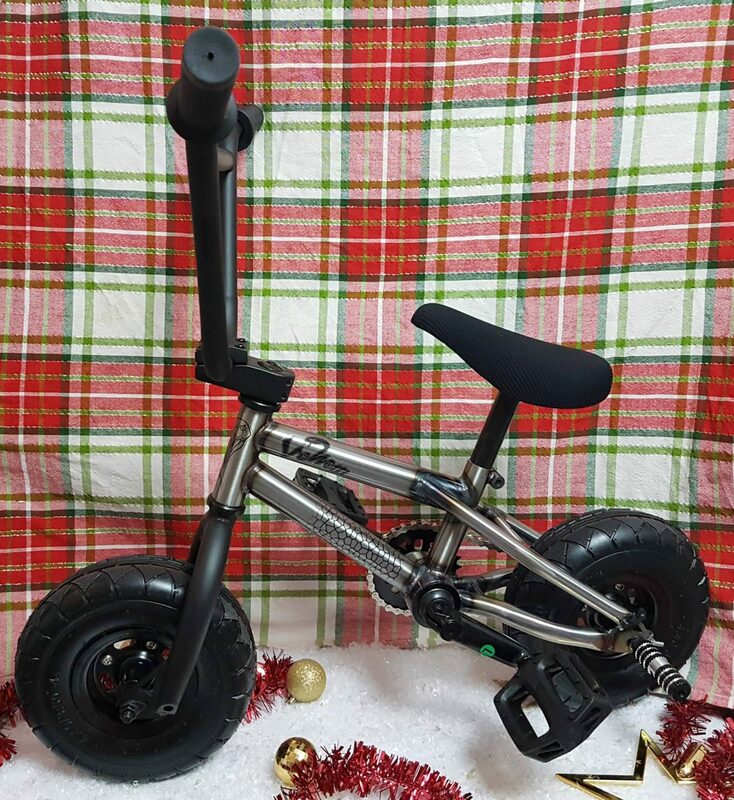 This amazing Mini BMX from Skates.co.uk is make such a great Christmas gift. With high quality wheels, bars, seat and frame, the Venom Mini BMX is made to last and perfect for doing tricks. It has 10 inch steel rims, 30psi tyres and even a paiR of stunt pegs, it’d make a great gift for anyone wanting to show of their skills at the skate park. We’re huge Nerf fans and the little man loves to update his gun collection whenever possible. I love to see him play but I’ll admit I’m not a fan of finding stray bullets throughout the house. The Nerf Laser Ops Pro Alphapoint 2 pack is the answer to my problem! The box contains 2 guns and 2 arm bands that hold mobile devices to track your progress and there are no bullets! Each AlphaPoint blaster features light and sound effects, unlimited ammo, quick-reload button and indicators for health, ammo and teams. 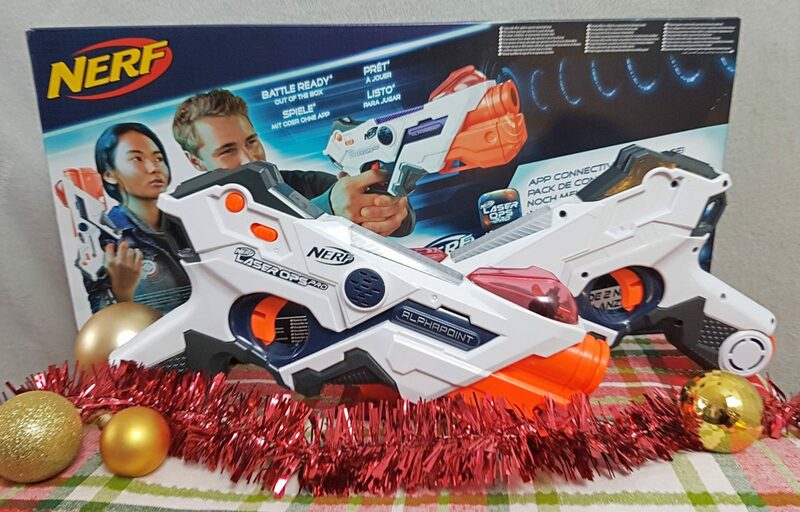 The set retails at £44.99 and would make a great gift for a family with two children or an adult who also loves Nerf. The little man has wanted a guitar since he was small and we decided he’d be big enough this Christmas. 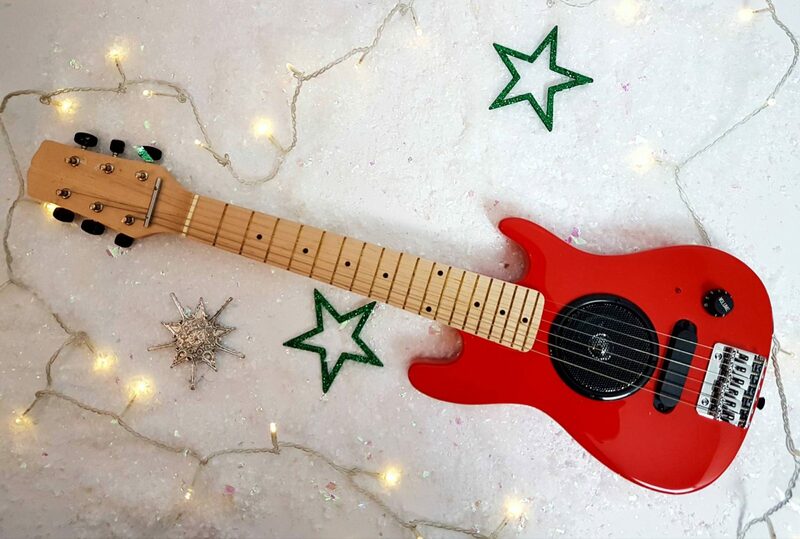 How cool is this shiny red, electric guitar?! If you’re prepared to go the whole hog, you could buy a guitar starter kit to really help your child get started. 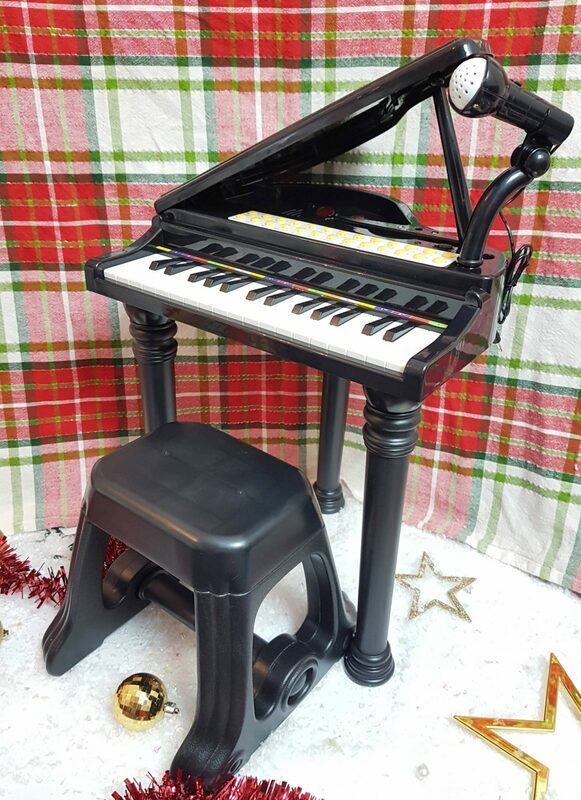 Sticking with the music theme, what about this Bontempi toy Grand Piano from Buydirect4u? 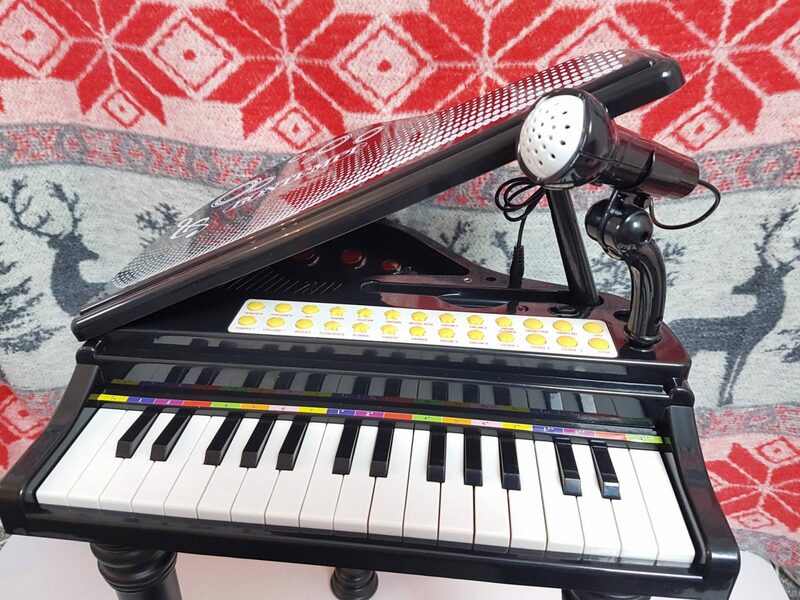 If your child fancies themselves as the next Elton John this toy grand piano is just the way to start. Complete with an adjustable microphone they can sing away to their hearts content. Equipped with 37 keys and a choice of 8 sounds, 8 rhythms and 4 percussion sounds, your child can have hours of fun and get creative making their own compositions. 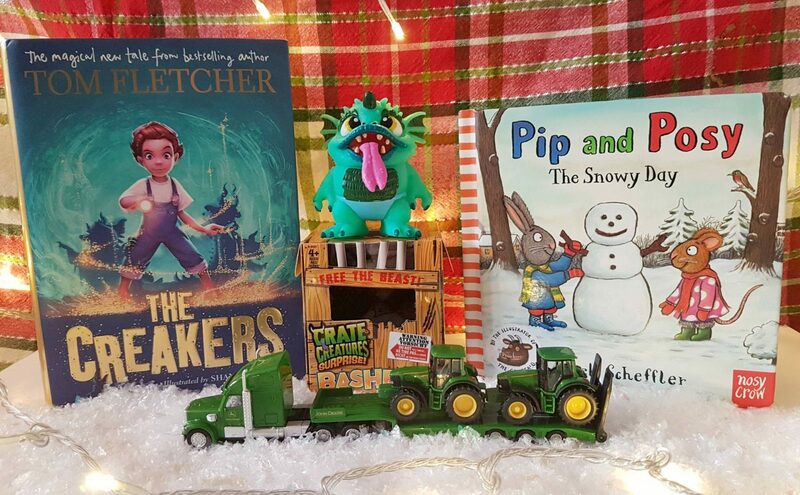 We love Tom Fletcher books, especially The Creakers. The little man is still too long to read it himself but loves a chapter or two at bedtime. The cool Crate Creatures Surprise Bashers will be a huge hit with any child that loves all things disgusting. You can pulls it’s tongue to hear some disgusting noises, throw it through the air and bash it to hear it make a range of fun sounds. There are 12 to collect and they retail at £9.99 each. You can also buy bigger Crate Creatures if your budget allows. SnortHog was a huge hit with the little man, you can read our review here. The John Deere Low Loader from Siku is such a lovely little gift. It’d be a huge hit with any tractor lover and it’s great quality for £13.99. We always give the little man books for Christmas and birthdays. He’s just learning to ready properly himself so books like Pip and Posy – The Snowy Day are perfect for new readers like him. The stories are simple and the beautiful illustrations from Axel Scheffler are really eye catching. We have various different doughs and accessories but the Power Dough range really caught my eye. 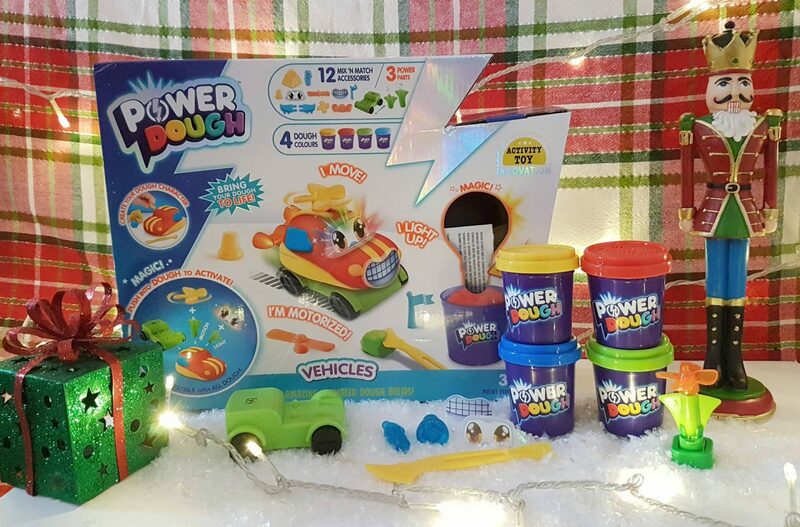 Power Dough lets children mould, shape and decorate their own designs with push-in decorations which “activate” them. The sets are suitable for pre school children upwards and are simple to use. The vehicles kits contains four pots of different coloured dough and accessories to make a car, train and aeroplane. Once made up the vehicles can move, light up and drive along. I think it’s such a fab idea and a great enhancement from traditional moulding dough. 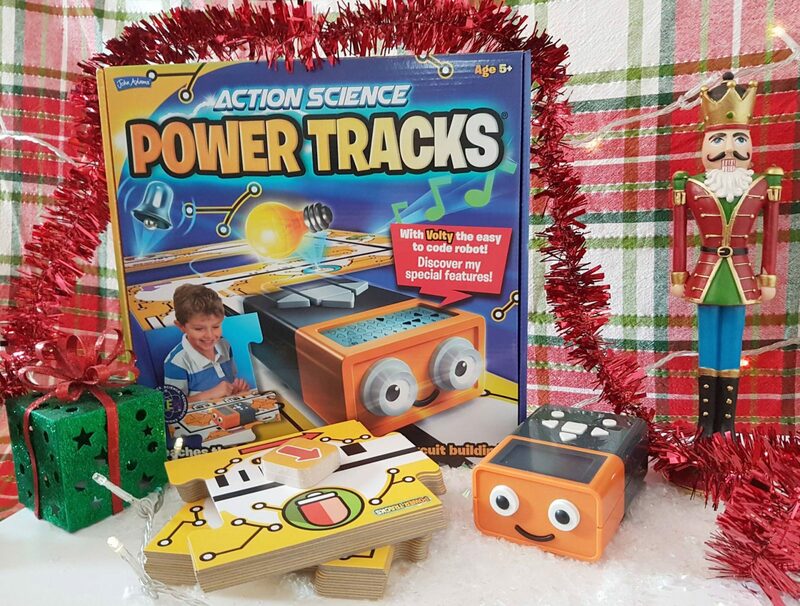 Power Tracks is the perfect gift to those taking their first steps into the world of programming and building circuits. Volty is the cute programmable robot who can be guided round the circuit using commands. The set includes Volty the robot, 24 double sided circuit tiles, 10 double sided circuit diagrams, 40 command cards and a set of instructions. It’s a well made set and something that will encourage children to learn more about programming and building circuits. 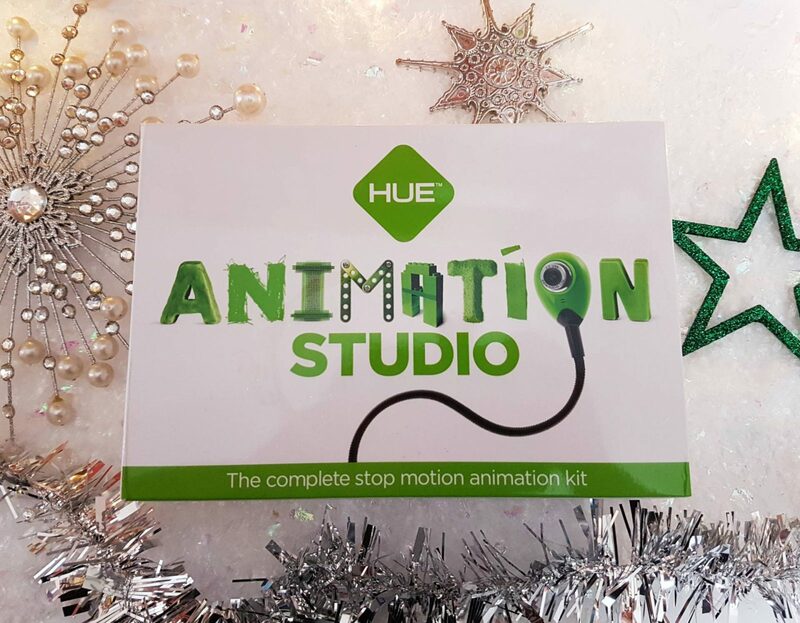 HUE Animation Studio contains everything that you need to create your own stop motion animation videos. The kit includes a camera with microphone, an animation activity book, a mini stage with background and ‘green screen’; and stop motion software with time-lapse features, sound effects, printable activities, tutorial videos and backdrops. 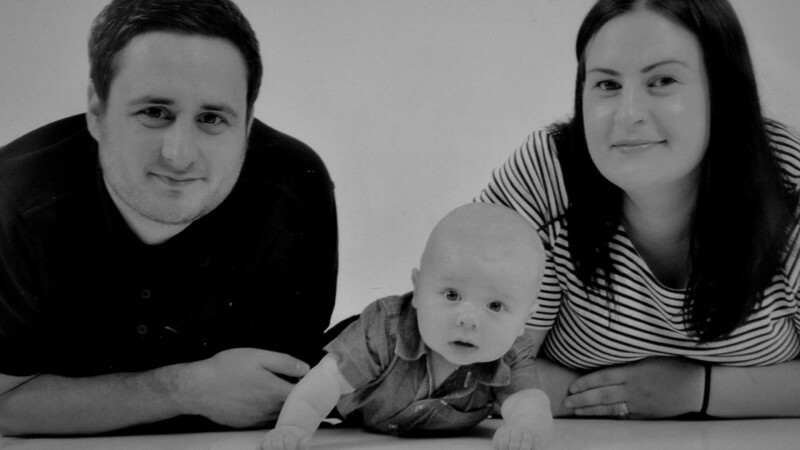 It’s something the little man will love to do with his Daddy. The Thomas Adventures sets are a huge hit with our Thomas obsessed child. He has various ranges but the Adventure sets are well priced and clip easily and can be taken apart for storage. 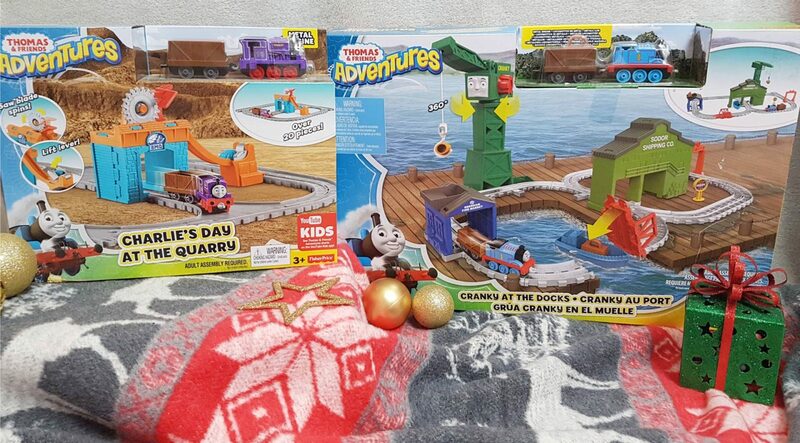 Charlies Day at the Quarry is one of the cheaper sets and costs just over £12 and Cranky at the Docks is currently half price at just £17.99. Both include track, buildings and a diecast train. 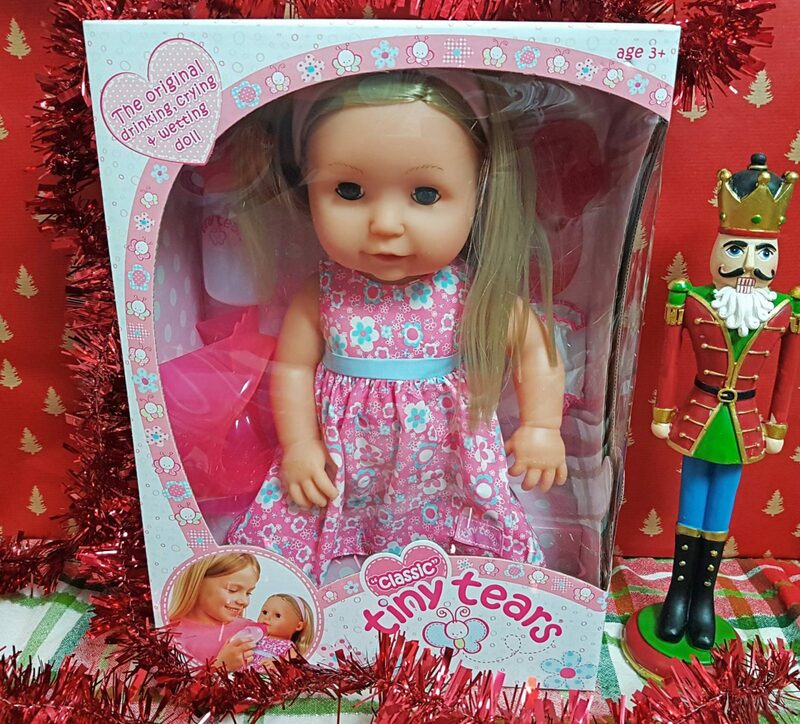 The Classic Tiny Tears doll is a great first doll, and suitable for both boys and girls. Tiny Tears drinks, cries and even wee’s which I’m sure most children will be excited by. It’s also one of the cheaper Tiny Tears dolls and costs just under £30 making it purse friendly too. The Classic Tiny Tears doll comes wearing a pretty dress and her own potty, hair brush and bottle. She has longer length hair which can be brushed and styled and is aimed at children aged three and above. 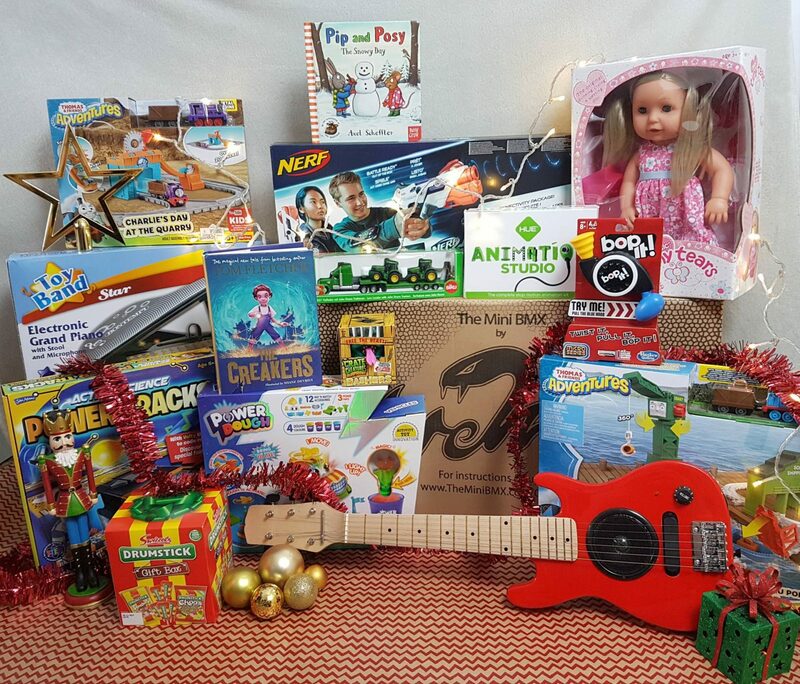 Have you bought any of the toys above as Christmas gifts? Do you have any other gifts suggestions for small people this year? 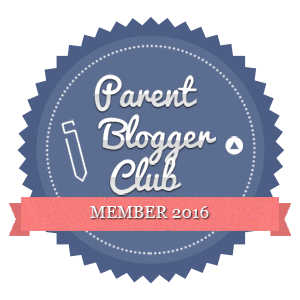 * This post contains both press samples and affiliate links.